All of our Japanese translators are NAATI certified, so if you need a NAATI translation, you’re in the right place! You might be in need of a translator to translate medical texts, legal documents, business documents; whatever your needs, Sydney Translation’s Japanese NAATI translators will demonstrate a clear understanding of the nuances and terminology in their translations. Get started today. Upload your document on the translation quote form, and we will email you an exact quotation within 15 minutes. As one of the leading Japanese translation services provider in Sydney, Sydney Translation offers specialised Japanese related business services and translation solutions to a few industries. With our team of certified linguists, we have Japanese translators trained and experienced in translation of various personal documents. Our professional Japanese translators have enough experience in working with different legal document types including, but not limited to, Japanese academic transcripts, Japanese birth certificates, Japanese ID Cards, Japanese driver’s license, Japanese divorce decrees, Japanese police checks and so on. 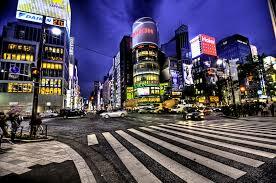 Prices for our individual Japanese translation services start at $69. Since each document is unique and different from one another, prices vary according to a number of factors such as the document’s length, complexity, subject matter and deadline. Get an instant quote. Simply complete the translation enquiry form on this page, and we will provide you with a detailed estimate in less than 15 minutes. Small businesses and global brands trust Sydney Translations to provide Japanese translation solutions to adapt their projects and documents to their target market successfully. Within our team of specialised linguists, we have Japanese translators that have extensive experience in working with technical Japanese translation services and terminologies. Sydney Translations is capable of providing world-class Japanese translation services that aim to help any business to meet their translation needs and be able to produce translations suited to the target audience. Our Japanese translation services include Japanese technical documents, Japanese engineering manuals, Japanese marketing documents and much more. Our business Japanese translation services are priced at a per word rate. Pricing depends on each documents complexity, language, topic, and turnaround time. Let us know your business translation needs by completing the translation form. We will send you an exact quote within 15 minutes. Ever heard of NAATI? NAATI stands for the National Accreditation Authority for Translators and Interpreters. It is the accreditation body and national standards for all interpreters and translators in Australia. If you need a NAATI stamped translation, Sydney Translations is the way to go. Our NAATI Japanese translations can be used for submission to University admissions, visa applications, job applications, passport applications, and immigration purposes in the majority of Australia’s authorities and government offices. With Sydney Translations, there’s no need to wait for an hour or a day to receive your quotation. Here, we provide you with your exact quote in as fast as 15 minutes when you complete the translation form located on this page. Here are some fun facts about the Japanese language. The Japanese take the position of being the 9th most spoken language in the world, but it is not listed as one of the six official UN languages. 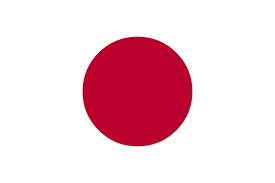 Japan uses the Japanese language as its official language and is spoken by more than 127 million people in the country. Japanese is considered as one of the most difficult and complex languages to learn because of its written language. There is no difference between plural and singular nouns and no gender in the language. The Japanese language makes use of four different writing systems including hiragana, katakana, kanji and romanji.